From left to right: Mr. Urs Lindenmann, Honorary Consul of Switzerland; Lic. Aleida Marín Pérez, correspondent of the Spanish magazine Mas Viajes in the US; Agustín Rangugni, Director of Radio Miami; Humberto O. Estenoz, president of the Organization Committee of the IPCF; professor Joseph B. Treaster Knight Chair Cross Cultural Communication at University of Miami; Ambassador James Cason, Mayor of the City of Coral Gables; Lic. Pedro A. González, Jr., president of the Florida Association of Hispanic Journalists; Dr. Vicente A. Rodríguez, Director of the Revolutionary Party of the Dominican Republic (PRD); Natalie C. French, from the Miami-Dade County Public Schools; Pedro Rodríguez Medina, former Cuban political prisoner, author and blogger and Gerald A. Vargas and Juan Carlos Suárez from Chase Manhattan bank. 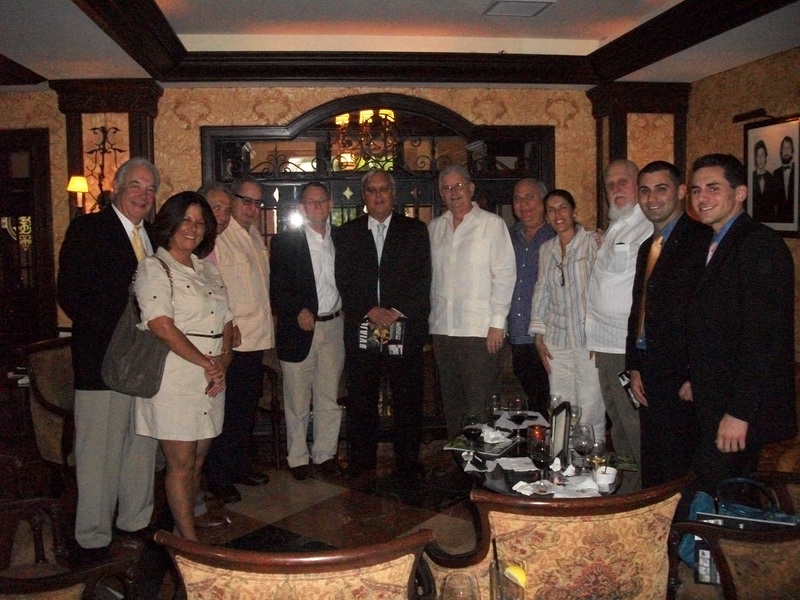 Also participants but not on the photo: Ronald W. Hall, Visiting European Fellow, University of Miami; Ambassador Juan Miguel Gutiérrez Tinoco, Consul General in Miami of Mexico; Gregory M. Adams of the US Department of State and, FAHJ V.P., World Press Svcs,/ Amsworldweb Bill Lara. This last Thursday June 23rd , the foreign Press Club of Florida was re-named as the International Press Club of Florida and officially introduced to members of the University of Miami, Chase Investment Bank, the Miami Dade County School Board among members of the international Press. Opening remarks were given by His Honor John Cason, Mayor of the City of Coral Gables and, the conversation extended into immediate future plans to develop this newsletter and, a possible collaboration between the University of Miami and, the Swiss consulate to bring a select lecturer to Miami. Please send in your comments via our facebook page (bottom of page). Diplomats, foreign correspondents, national/local media, academics and a variety of multi ethnic guest members from around the world will constitute the basic make up of the IPCF. If you need more information, please leave a message on our wall or reply with your questions and/or the best time to contact you. Centralized, targeted distribution of practical information to key developing areas in Central , South America and the Caribbean via non-traditional methods (i.e. A computer for every Child M.I.T. content initiative). The integration of native/indigenous media to the world stage through IPCF designed opportunities. Please bear in mind these are just a few of the items currently being discussed by the founding committee and, that your comments or, suggestions are very much welcome as we give shape to this project.